I am a HUGE fan of thoughtful handmade gifts! 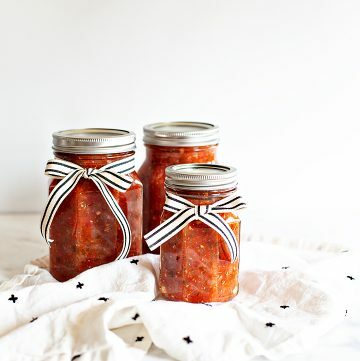 I try as much as possible to create something special to give friends and family during the holiday season. This year I have become a little obsessed with stylish little zipper pouches. 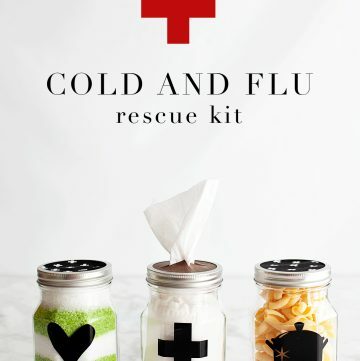 They are so handy for keeping those little odds and ends organized and really… They’re so darn cute! 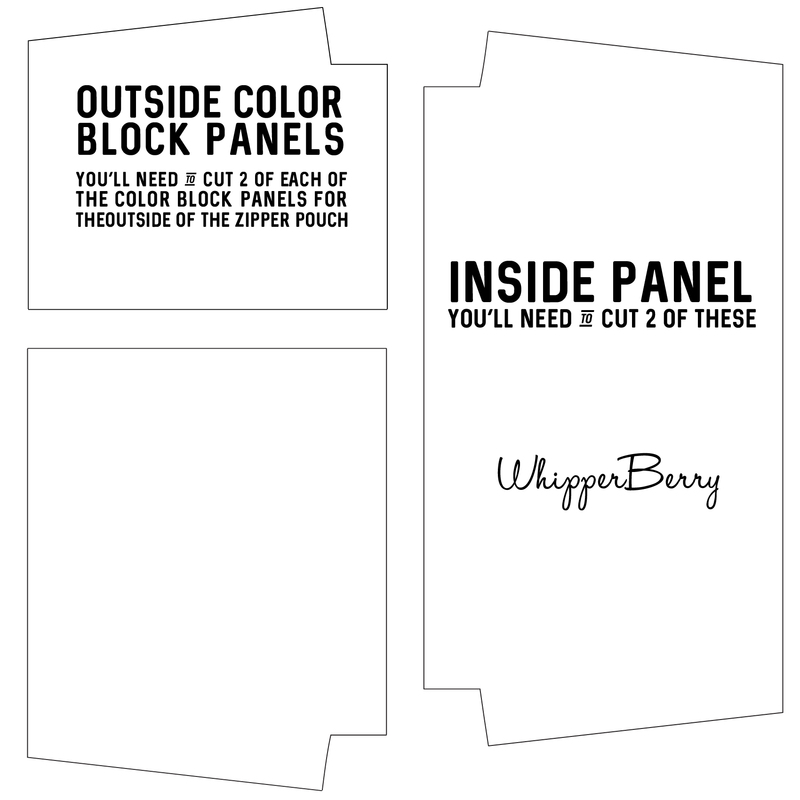 I’ve even created a design of my own it’s called the WhipperBerry Zipper Pouch and it’s the perfect Holiday Hostess Gift! Not too long ago, I made a cute little pencil pouch using the pattern created by Anna from Noodlehead. 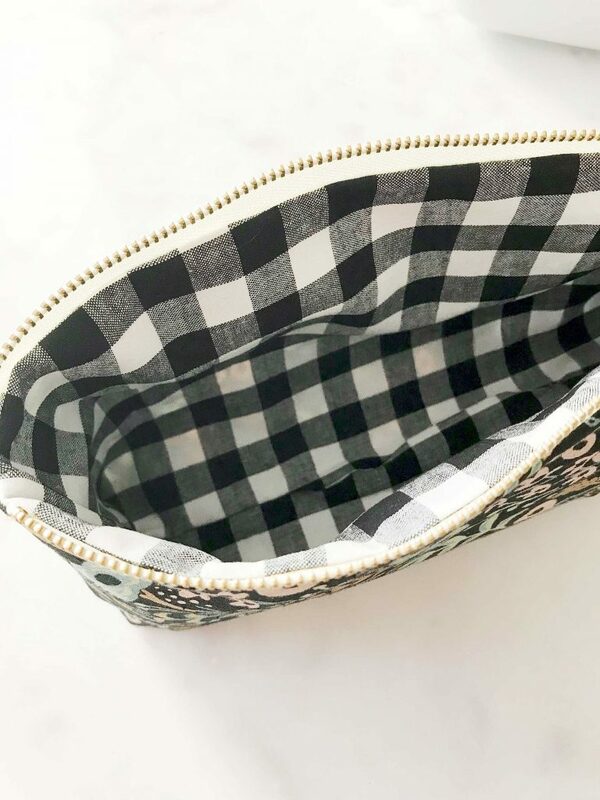 I LOVED the pattern so much… I was a total nerd and decided that I wanted to convert Anna’s PDF pattern to a SVG file so that I could cut my fabric on my Cricut Maker. It took a little trial and error, but I managed to make it work. I imported my newly created SVG file to the Cricut Design Space and again, with a little more fiddling around, I managed to make it work. I was THRILLED! I love Anna’s pencil pouch and I’ve now sewn a few different variations trying to improve my sewing skills. I love this little pouch but, I’ve been wanting to make one that is larger and will hold things other than just pens and pencils. 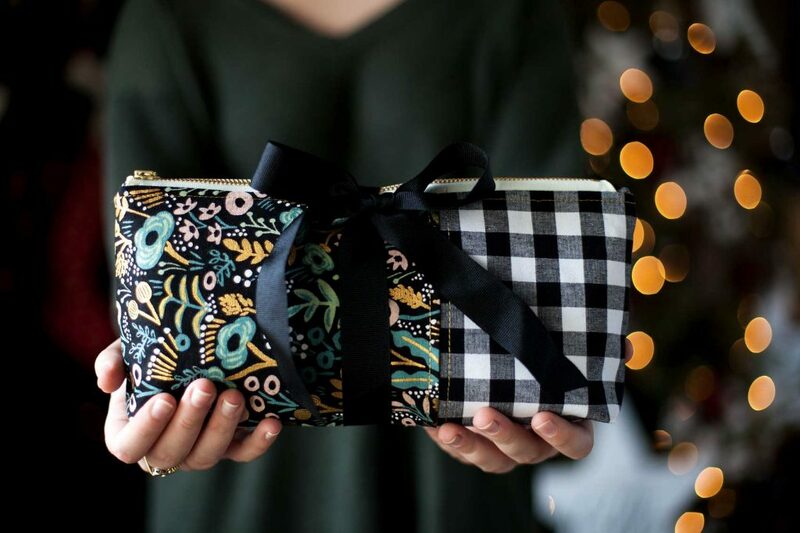 I decided to modify Anna’s pattern a bit and make a larger zipper pouch to give as holiday hostess gifts this year. Precision cuts – you’ll always start with good bones. 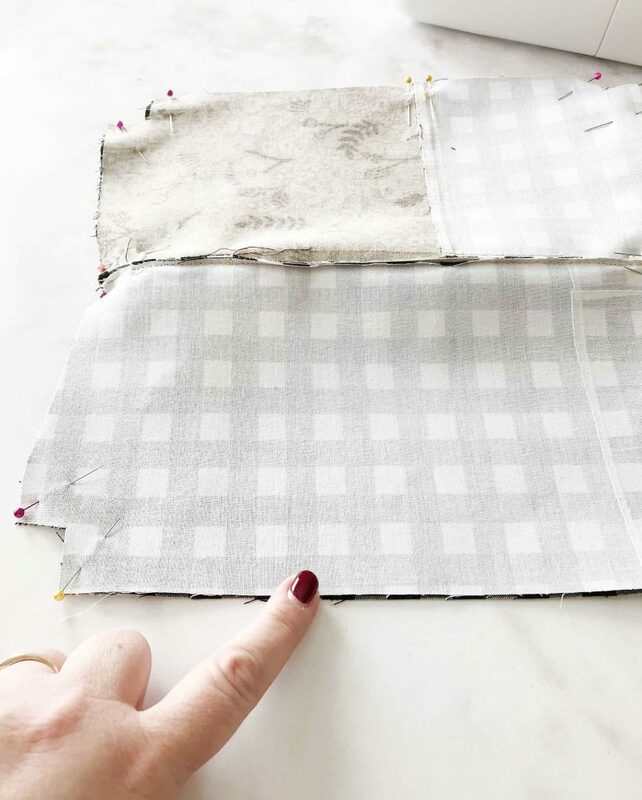 Less waste – you’ll use far less fabric by using a precision cutting tool. 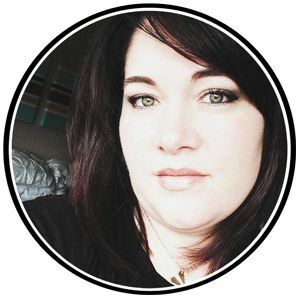 Empowerment – the Cricut Maker is bring sewing to the masses, no more excuses, you CAN do this. More intricate designs – have you always kept things really simple? With the Cricut Maker, you can get as fancy as you want. First thing to do it to visit my post on How to Import and Use a SVG File in Cricut Design Space. I have a full video Tutorial on how to cut this exact pattern and it will really help the cutting go super smooth. Before I start cutting though, I fuse my interfacing onto the lining of my pouch. 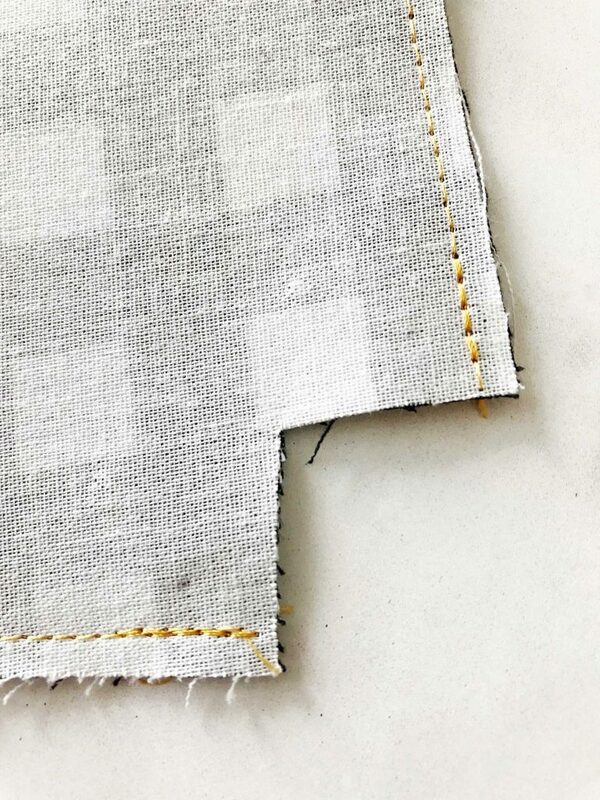 If you are using a lighter fabric for either one of the exterior pieces, you’ll want to fuse that fabric as well. 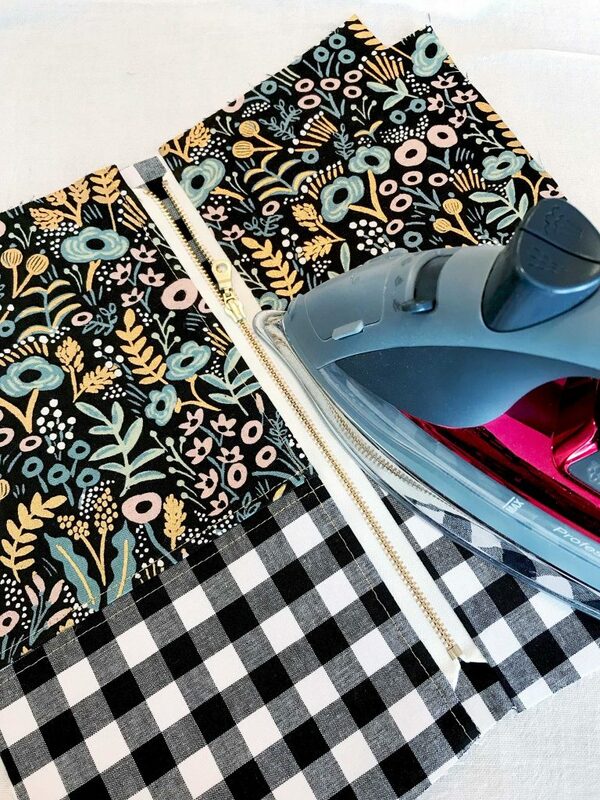 Make sure to do this step BEFORE you cut your fabric. Pro Tip • If you don’t have enough interfacing to cover your entire piece of fabric, don’t worry. 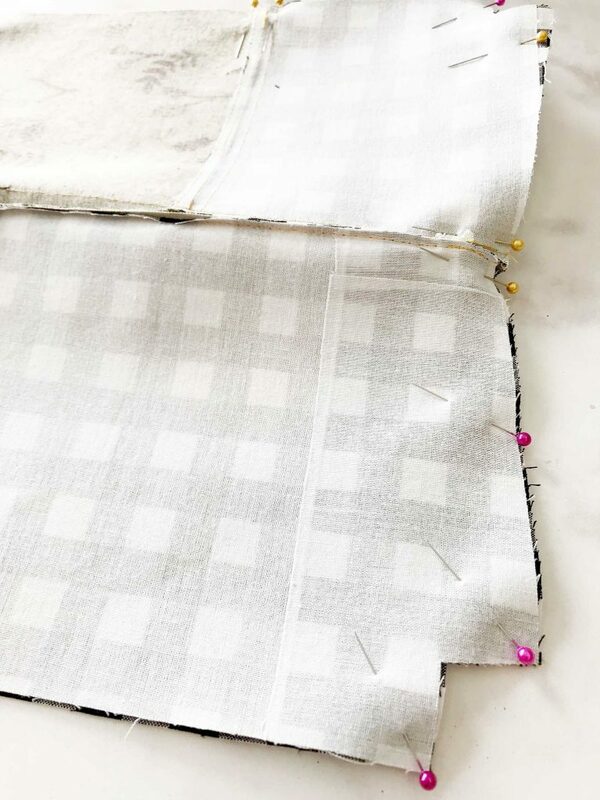 Keep your interfacing scraps and piece it together. No biggie! 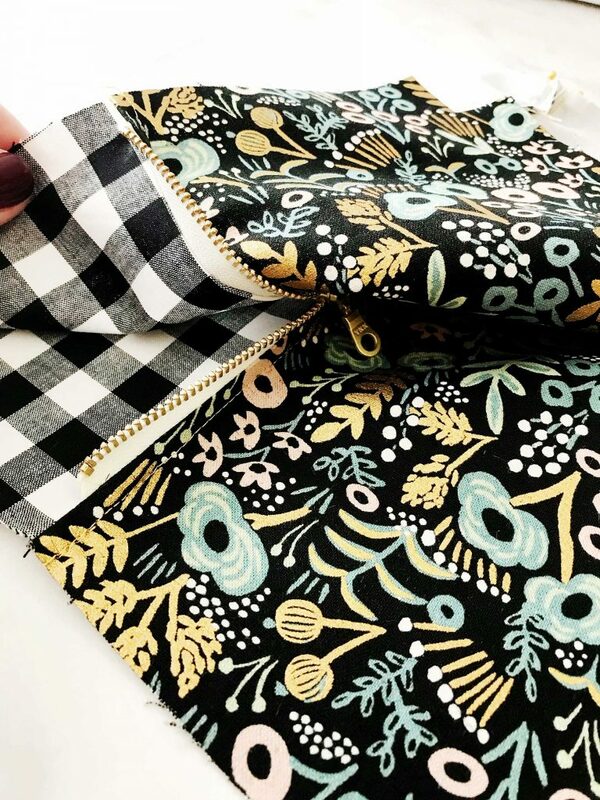 Start by sewing the outside together by placing the main print and accent fabric right sides together and sew using a 1/4″ seam allowance. 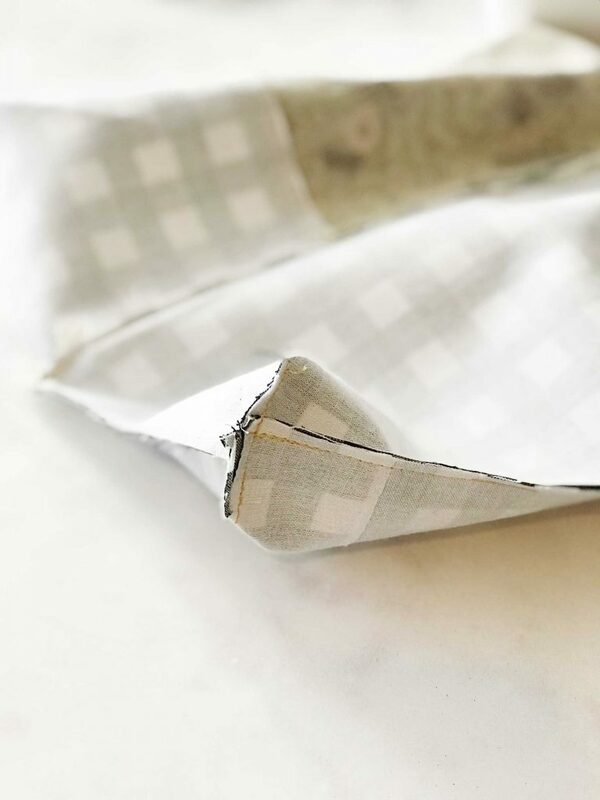 Press seam to one side and topstitch. Then repeat with the other side of the exterior of the pouch. 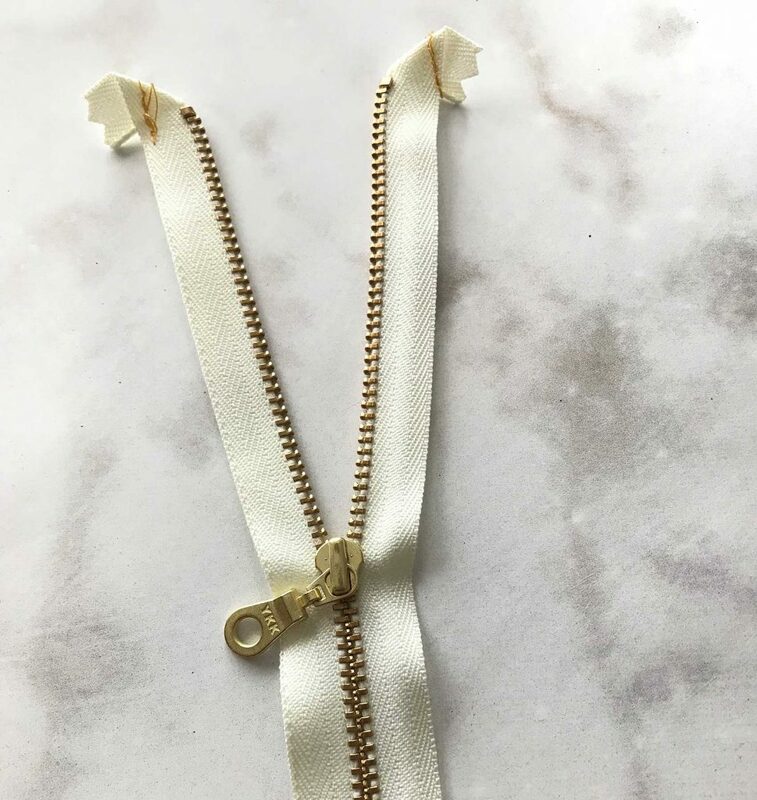 Before you attach your zipper, you need to prepare both ends of the zipper by folding it over towards the back side and placing a few stitches to hold it in place. Repeat on all four ends of the zipper. With exterior panel right side up, center zipper right side facing down (zipper pull at left) along top edge then pin in place. Place one lining piece, right side down on top of the exterior piece again pin into place. 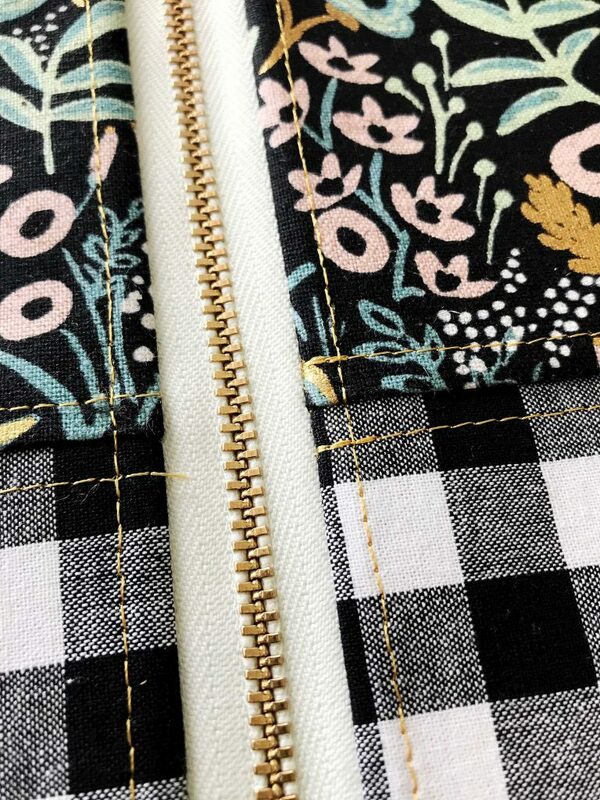 Using your zipper foot, sew along top edge using a 1/4″ seam allowance. Open like a book and press exterior panel away from zipper. 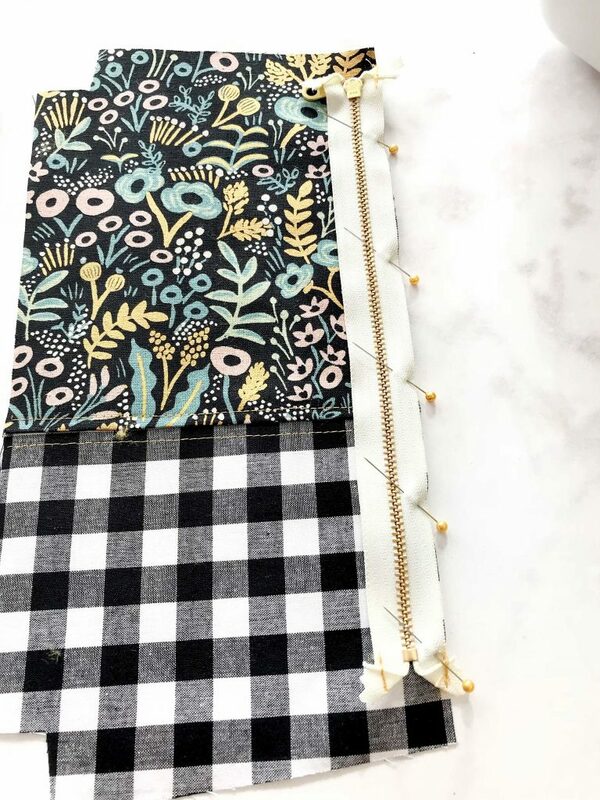 Topstitch along zipper using an 1/8″ seam allowance. Make sure NOT to top stitch both layers together. Position outside panel and lining panel wrong side on together and press away from zipper. 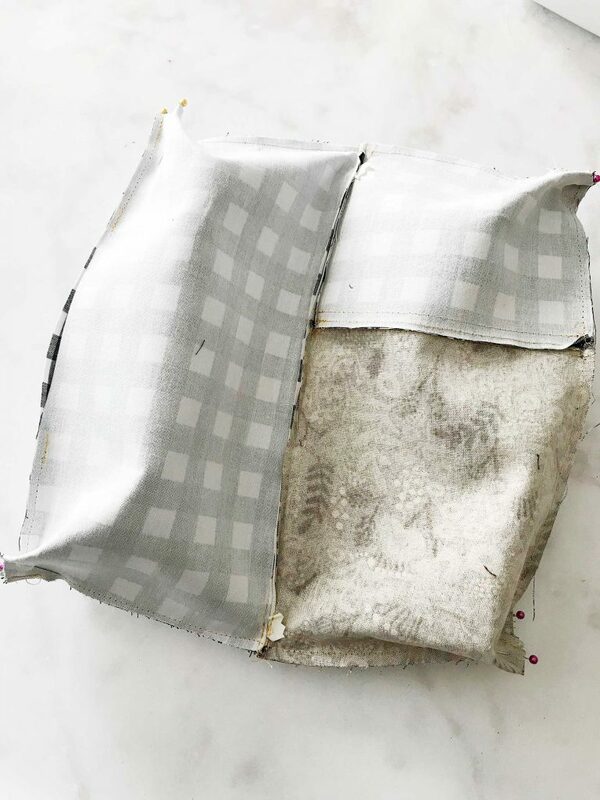 Repeat the same steps to attach the other side of the bag with the remaining exterior panel and lining panel to the other side of the zipper. This time placing zipper pull at right. Keep and eye on your top seems and make sure they match up. Then press both sides again. Open zipper halfway. This is an important step. Position exterior panels right side together and lining pieces right side together and pin along sides and bottom. 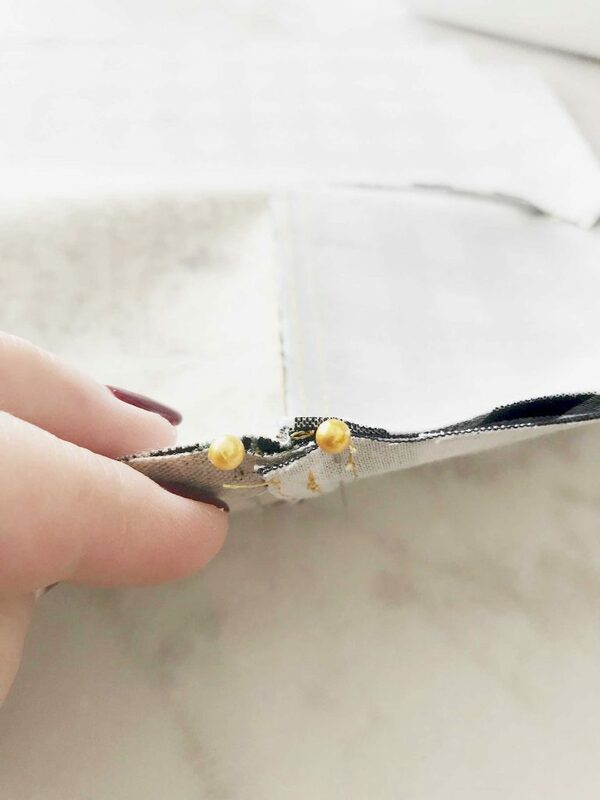 Be sure that you place pins on either side at the intersections of where the lining meets the exterior on each side of the pouch and where the seem of the exterior meet. 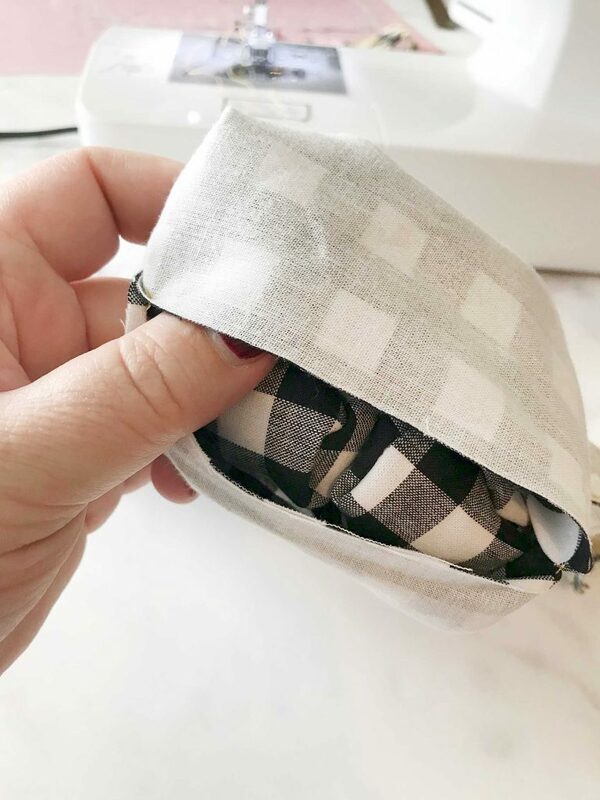 Sew along the bottom and sides of the pouch using a 1/4″ seam allowance. You will need to leave a 4 inch opening in the lining so that you’ll be able to turn your pouch. Make sure to not stitch together the corner cut outs. 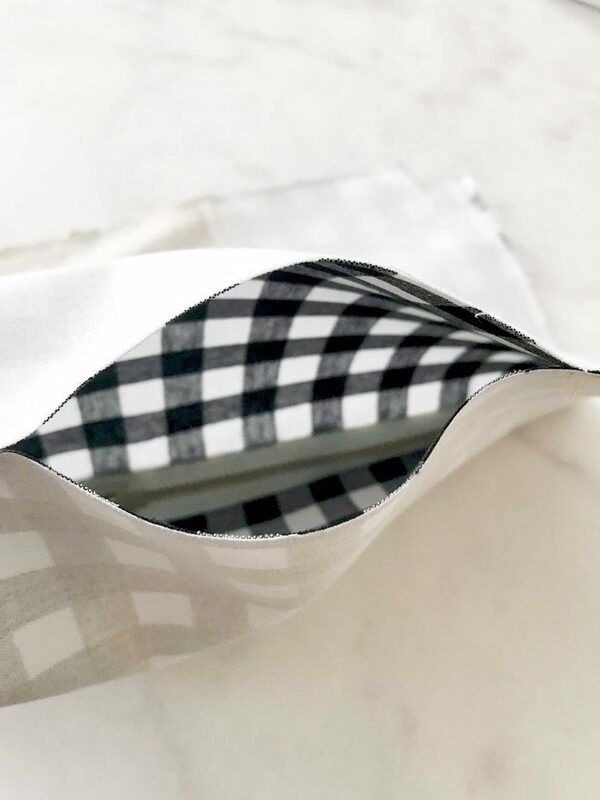 Speaking of corner cut outs… Check out the precision of how the fabric lines up. That’s solely possible because of the Cricut Maker. 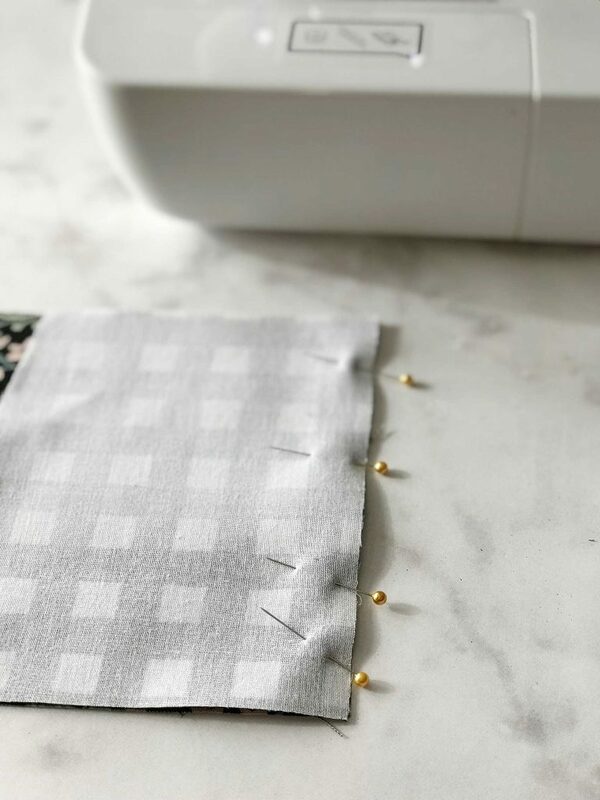 You can sew with confidence knowing that your fabric will line-up easily because of the perfect cuts. Ok, back to work… Reach inside your bag and shimmy the zipper open all the way. 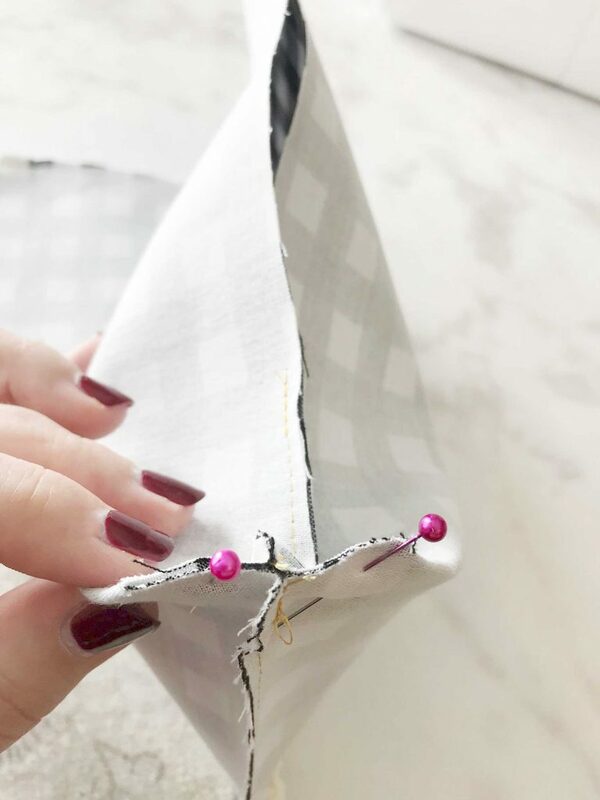 Box your corners by pinching the corners together and line-up the seam and pin. Repeat on the remaining 3 corners. 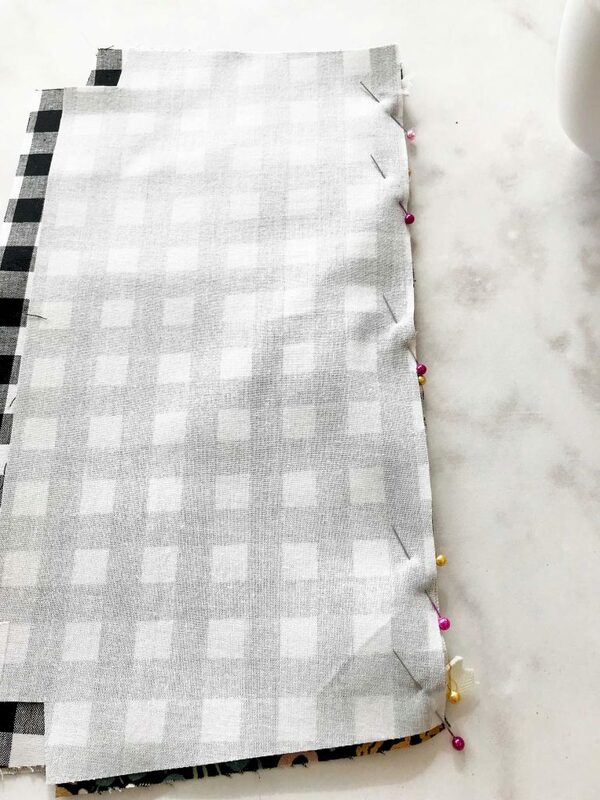 Sew straight across with a 1/4″ seam allowance. Repeat with the remaining 3 sides. You’re so close to the finish line! All you need to do is turn out your pouch so that it is right side out. That’s where the 4 inch opening comes in handy. Pull it through that opening just as if you were turning a sock right side out. Are you just swimming with PRIDE now!!! Take a minute to make sure everything is settled in all the right places. Push the lining corners into the right spot. You may want to use the eraser side of a pencil or a chopstick to push those into place. You may want to even press your pouch again if it needs it. That’s it, you now have a beautiful, stylish large pouch that you made yourself. It has your fingerprints all over it. 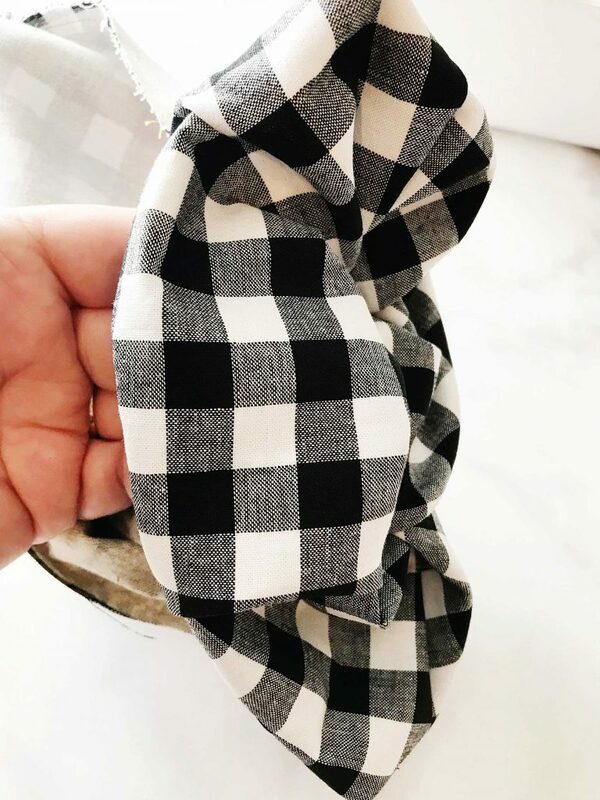 You chose your favorite fabric and it screams your style! Now, you can profile all of your friends and figure out what their perfect little somethings zipper pouch would look like. 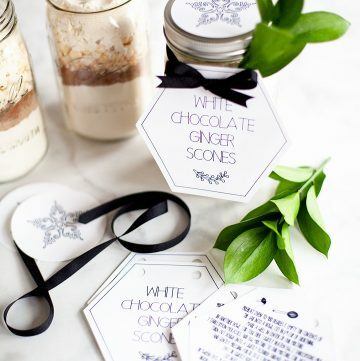 Then, whip one up for them to take as a hostess gift, holiday gift, friend gift, it’s Tuesday gift… Basically, it’s a great creative gift that ANYONE can make with a little help from the Cricut Maker & a sewing machine. 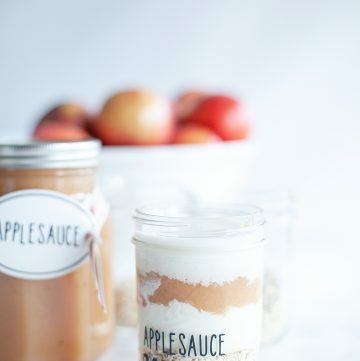 You could even personalize it with some Cricut Iron-on Lite and the Cricut Easy Press. That would be really cool. What to win some amazing Cricut goodies for yourself? Enter below for a chance to win! a Rafflecopter giveaway If you’re looking to make a shorter pencil pouch, visit Noodlehead for that pattern and directions. How did u put the fabric at the end of your zipper? It looks like you added a piece? I always struggle getting my zipper top to look right and I’ve tried various ideas from other posts I’ve read but yours looks like you have put fabric at the end of your zipper?? 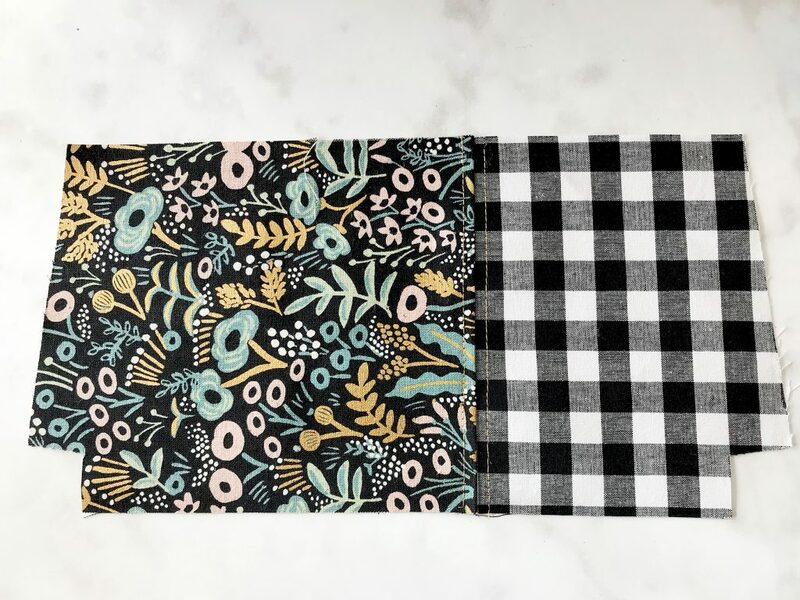 I just found this pattern and I actually have these fabrics. I love the pouch! My question: can I cut the pattern out of paper then use that for my pattern? I have an explore air. You totally could Mary, just make sure your settings are set for paper! Have fun, I really LOVE this bag. Wonderful Mary! That’s fantastic! Thanks for sharing. I have tried to download this and save it so I can upload it to design space and just can’t seem to get it to work. I wanted to try and do this with my new Cricut Maker. Love these pouches! What size do they end up being? Just made this with my new Maker. LOVE IT! The results look professional due to the perfect cuts. I cant wait to see your tute on pdf to svg files. Thank you so much for the free pattern and the tutorial on getting the files into Design. It is so helpful for new users like me.